An advertising billboard becomes a space for socially-conscious art and then transforms into sustainable bags and accessories. This is the story of a three-way collaboration between Lamar Advertising Company, the largest out-of-home advertising company in the United States,RAREFORM, a Santa Monica-based producer of bags and accessories repurposed from billboards, and Milton Glaser, the legendary artist and designer famous for creating the I ❤ NY logo. 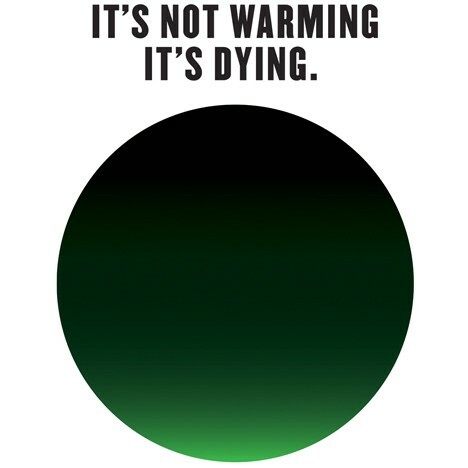 This year, Lamar Advertising has provided a billboard in Los Angeles at Crenshaw Boulevard and West 59th Place to showcase Glaser’s “It’s Dying” campaign. The billboard with Glaser’s artwork will remain on display until the end of October. After the billboard comes down, RAREFORM will repurpose Glaser’s artwork into approximately 300 limited-edition backpacks and accessories. Designers and artists like Glaser looking to make a statement about environmental sustainability have the challenge of walking the walk as well as talking the talk. Campaign collateral like buttons, stickers, posters, and billboards all require natural resources to produce and often turn into waste after they have served their purpose. This collaboration between Glaser, RAREFORM, and Lamar provides a system for the sustainable reuse of these materials. For designers working to be more sustainable, the lesson here is to think beyond creating collections for a single season, and instead design systems for reuse and transformation across the lifecycle of a product. At the end of November, RAREFORM will host a gallery show in Los Angeles. The exhibit will feature exclusive videos, photos, and products from the collaboration, as well as some of Glaser’s other work. 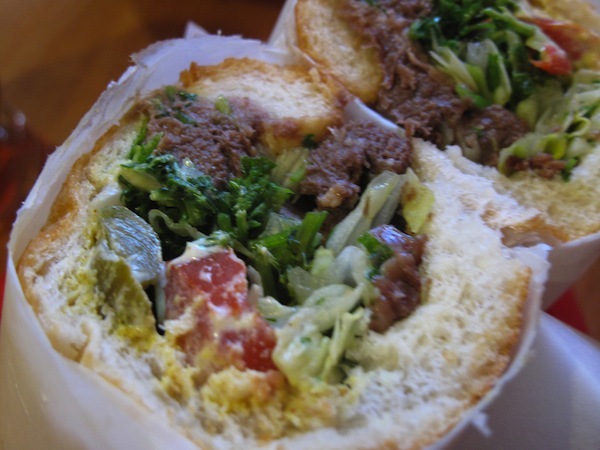 While I was in “Teherangeles” visiting the family last week, I went to check out Attari Sandwich Shop in Westwood (1388 Westwood Blvd, Los Angeles, CA, 90024). 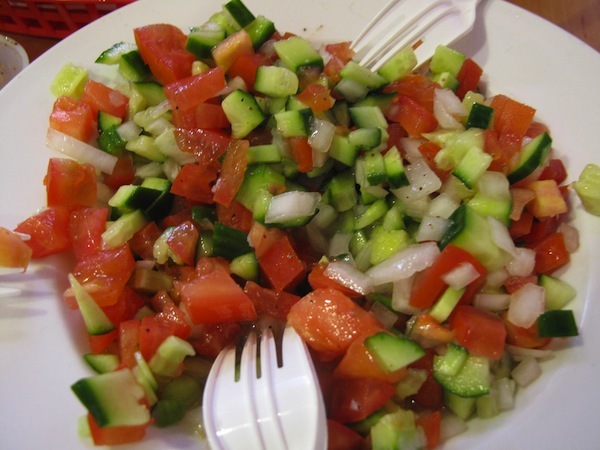 We started with a Shirazi salad, a simple and refreshing chopped salad of tomato, cucumber, and onion. 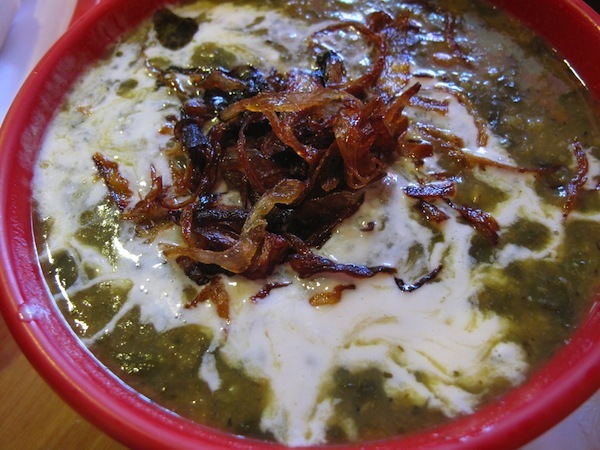 Next course was Ash-e joe, a thick soup with lentils, black eyed peas and mixed greens, topped with yogurt and fried onions. Healthy, hearty, and delicious. The soup could easily be a meal in itself and is perfect for a cold day rainy day like the day we visited. Then I had some tongue sandwich. I love tongue for its chewy, meaty texture, and go for it every time I get Japanese or Korean BBQ. The tongue at Attari was different though. It was almost falling-apart tender, like the best pot roast or pastrami. The sandwich itself reminded me a bit of banh mi in the best possible way. More NYE photos on Flickr.